Rev. 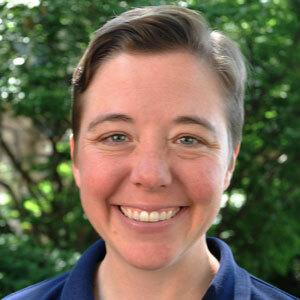 Britt Cox is a graduate of Southwestern University in Georgetown, Texas, and Chicago Theological Seminary. Prior to seminary, she served in a variety of nonprofit settings, including work as a national organizer for Reconciling Ministries Network. During seminary she served at Holy Covenant United Methodist Church and Bethany Methodist Retirement Community. Britt is a United Methodist by tradition, and is passionate about communities that take risks, ecumenical conversations, worship that honors authenticity, and story-sharing. She loves all things foodie, photography, writing, bike riding, traveling, and her wonderful family. Equally at home with all genres of music, Patrick currently coaches music students at Northwestern University and Roosevelt University, and accompanies the LakeSide Singers. He has served as music director/conductor/pianist for numerous Broadway and Chicago area stage and TV shows, and toured with Marlene Dietrich and Carol Channing. Patrick has also recorded several Broadway cast albums and a collection of Cole Porter songs. He has served in various educational capacities at several academies and colleges in Chicago and New York City. Erika has served at Church of the Three Crosses since 2006, bringing with her over 20 years of corporate experience in administration, office management, and marketing. During most academic years, a student from an area seminary serves as our Student Pastor. This person assists with various areas of the church’s program and mission life, including worship leadership. Follow us on Facebook ©2008-2016, Church of the Three Crosses. All Rights Reserved.